If you’ve taken a drive around the north-west area of Kent county, you may have noticed the soil in the fields is extremely dark, almost black. This whole area used to be part of Lake St. Clair, but thanks to a system of pumps and dykes it is kept dry enough to farm. We made a fascinating discovery in this area. My partner had been to this site before, but didn’t remember the exact location. After placing a phone call, we headed out to search a few back roads. A few moments in to the search, I pointed out a rickety looking metal shed that sat between two dykes. 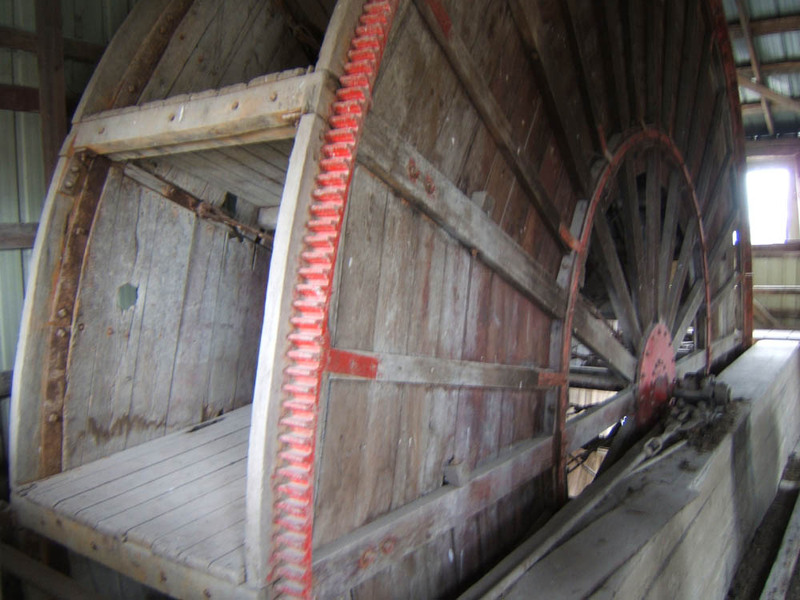 When we squeezed through the half-open door, a huge water wheel rose up to the roof on the left. 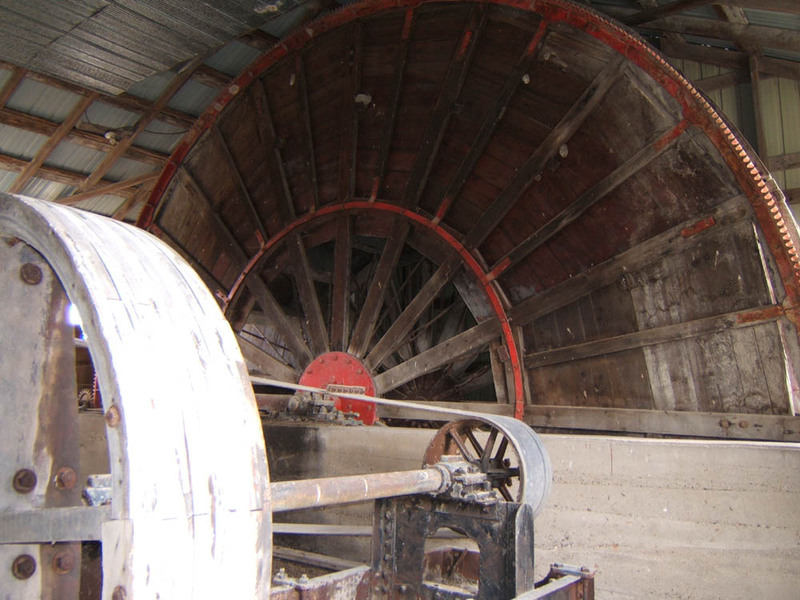 Made of wood and iron, the huge wheel was now sitting idle, replaced by more modern pumps. The bottom slats were stuck in the mud (which I have photos of – somewhere). 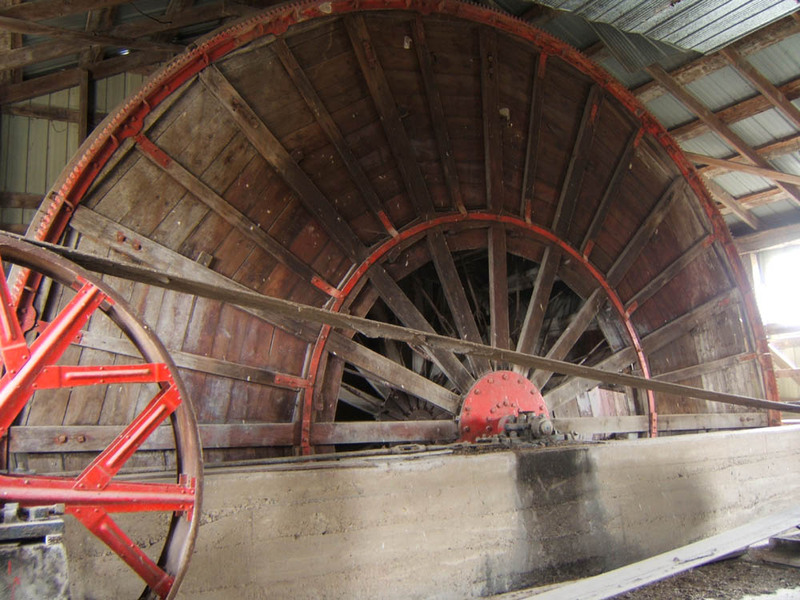 I have no idea how old it is, or how long it’s sat idle. I would like to make some inquiries with the farmers. Enjoy the photos.